SUNDAY, Nov. 13, 2016 — Marijuana use might raise the risk of a rare, temporary heart muscle malfunction that can feel like a full-fledged heart attack, a new study suggests. 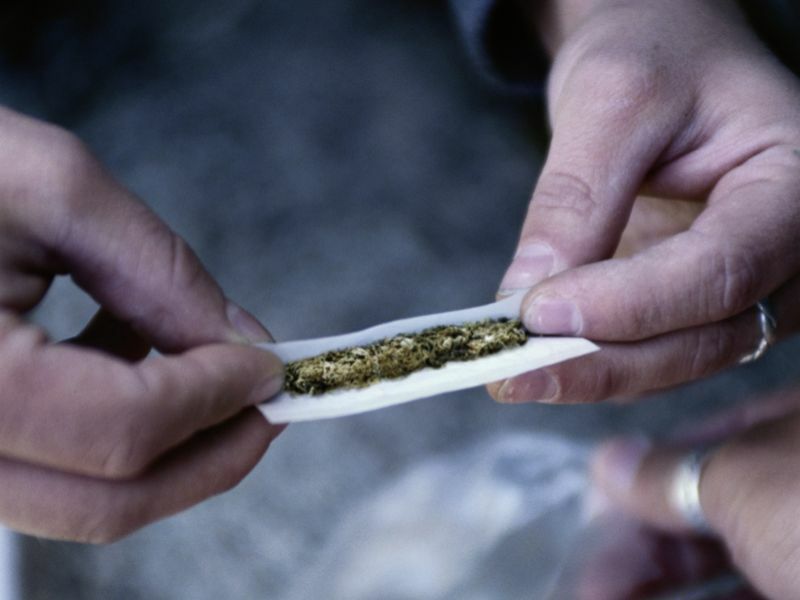 People who used marijuana were almost twice as likely as non-users to suffer a bout of stress cardiomyopathy, a condition also known as takotsubo, said study co-author Dr. Amitoj Singh. He is chief cardiology fellow at St. Luke’s University Health Network in Bethlehem, Pa.
Further, pot users experiencing takotsubo were more likely to suffer a cardiac arrest or require an implanted defibrillator, compared with non-users with takotsubo, Singh said. Cardiac arrest is when the heart suddenly stops beating. “Marijuana does not appear to be entirely safe, as some of the lobbyists for marijuana are arguing,” Singh said. But the study did not prove that pot causes takotsubo. Singh was to present his findings Sunday at the American Heart Association’s annual meeting, in New Orleans. Research presented at meetings is considered preliminary until published in a peer-reviewed journal. An American Heart Association spokeswoman questioned the findings, noting that the study mainly focused on marijuana use among people who’d fallen ill with takotsubo, which is a very rare condition. Takotsubo is a sudden and usually temporary weakening of the heart muscle that reduces the heart’s ability to pump — essentially a “stunning” of the heart, Singh explained. This can cause chest pain, shortness of breath, dizziness and sometimes fainting. The condition generally causes no long-term effects on a person’s heart health, Singh said. Takotsubo typically affects older women, and has been linked to anxiety or stress, Singh said. Singh said he and his colleagues decided to investigate this topic after treating a patient in their hospital who’d ingested marijuana and was found to be suffering from takotsubo. The researchers analyzed data from a federal health care database, identifying more than 33,000 people who had been hospitalized with stress cardiomyopathy between 2003 and 2011 in the United States. Of those patients, 210 were also identified as marijuana users, which amounts to less than 1 percent of all people identified with takotsubo. The marijuana users with takotsubo were more likely to be younger and male, with few other heart risk factors, the researchers found. “Most of these people who had used marijuana and had developed takotsubo were young men, which was completely diametrically opposite of what takotsubo is known for,” Singh said. Despite their age and relative heart health, the marijuana users were significantly more likely than non-users to go into cardiac arrest (2.4 percent versus 0.8 percent, respectively) and to require an implanted defibrillator to detect and correct dangerously abnormal heart rhythms (2.4 percent versus 0.6 percent, respectively). Looking at the entire database, Singh and his colleagues concluded that active marijuana use doubles the risk of takotsubo in young men. Chemicals contained in marijuana are known to interact with systems that control or moderate stress hormones within the body, and could potentially explain this observation, Singh said. Paul Armentano, deputy director of NORML, a group advocating reform of marijuana laws, said that takotsubo is extremely rare, and occurred in far fewer than 1 percent of the patients tracked in the health care database. On the other hand, national data indicates more than 10 percent of Americans use marijuana, and as many as one-third of young adults aged 18 to 25 are users, Armentano said. “Self-evidently, if cannabis consumption is a risk factor for this condition, it is a nearly insignificant risk factor,” he said.